Monsters are real and they live in him! 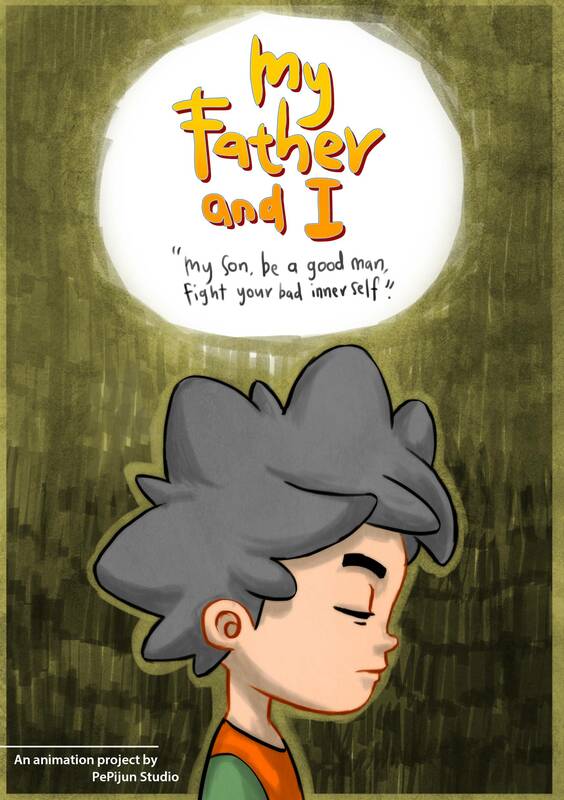 My Father and I is an animation series of a fantasy-adventure life of a boy undergoing a vital learning process in life. The boy tries hard to be good but is continuously challenged by his own bad habits. He looks to his father for guidance, and his father encourages him to use his imagination. Thus, he turns all of his bad habits into monsters and battles them one by one until he conquers them all. It is a story that tells of human weakness of making the same mistakes over and over again, no matter how much we try to avoid them. My Father and I has positive messages embedded into its story and it is a good learning tool for children. The story tells children that change can only start with them and no one else can make them be the good person that they want to be except for themselves. USD 16,300 to complete a 7-minute animation including full character library, concept art, background art, and everything else to complete an animation series. If successful, the project will be made into a series of animation. Mohd Hafizul Abd Radzak (Pijun) and Noraini Muhamad Dar (Noni) are the creative forces behind PePijun Studio. My Father and I is their first collaboration and is in early stage of pre-production. It is their dream to produce awesome animation and know they have a long way to go. Pijun is the animator, concept artist and scriptwriter for My Father and I, and Noni is the graphic designer and coordinator. Your name in the credit page, and our heartfelt gratitude! + A downloadable version of "My Father and I"
+ A downloadable HD version of "My Father and I"
+ A downloadable HD version and a DVD version of "My Father and I"
+ A downloadable HD version and 2 DVD version of "My Father and I"
+ An original drawing artwork of "My Father and I"
+ A downloadable HD version and 3 DVD version of "My Father and I"